You’ve probably seen all of the content marketing ‘2018 trends’ posts that were flying around before Christmas 2017. I’ve read most of them, and I have to say I think they’re mostly premature. Many of the things we think are about to change take much longer to get into the mainstream. So here are 3 content marketing trends you might be hearing about that aren’t ready for prime time just yet. There’s a lot of fear-mongering when talking about AI and its impact on jobs. That makes for engaging news stories. But the resistance to AI for most organisations is huge. Businesses and consumers aren’t ready for it. That’s why organisations will find a lot of internal resistance to AI. Make 2018 the year you explore the options for AI. See how it could help or hinder your business. But don’t expect it take off before 2019-2020. Yes, there have been some advances in home systems, voice services, sensors and device pairing. This year’s CES was all about connected devices. But the majority of your customers are a long way from using these in earnest. Expect to wait at least another 2 years for this one to really set in. You’ve seen the surveys. Most businesses are failing to take a strategic approach to content marketing. And you’ve also heard how that’s about to change. I spend a lot of time consulting and training brands in content marketing approaches. My impression is that strategic thinking is the exception rather than the rule. The signs are more encouraging here though. 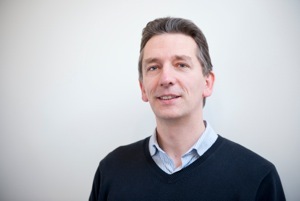 I work as a consultant and trainer with large corporations right through to small startups. The majority are starting to think hard about strategy in the near future. 2019 could be the year we see content marketing becoming a strategic process more than a tactical one. Big things are going to happen in content marketing during the next 12 – 18 months. But they won’t be the seemingly obvious ones. And they won’t be the things most people are predicting. This year I am hosting a number of Digital Breakfasts for the Content Marketing Association. We’ll host experienced content marketers to present their views on what’s most important for content marketers in 2018. Contact me if you want to join us at any of these events. I spent two days at BrightonSEO this year. It was a blast, as always, and a great help in understanding how copywriting needs to shift with the demand of SEO. I held a content marketing workshop on day one with some creative and inspiring people. On day two I attended some of the expert presentations that BrightonSEO has to offer. Over the course of the two days I had discussions, answered questions, and generally got involved in conversations about the state of the SEO industry. Here are some of the things that I picked up there, that will inform my work as a copywriter and content marketer. Christoph Cemper gave an excellent overview of how broken links can really harm your SEO. Fixing this issue led to over 500% increase in traffic to the website. Action: Do a proper link audit. If you don’t have anyone on it, hire an agency or a freelance expert. Jo Turnball and Daniel Furch showed how updating your best content can lead to better SEO opportunities. This is not only a more efficient way to create content, but gives you better bang for your buck. Action: Use your web analytics to find your best performing content, and re-publish it with updated material. Duane Forrester of Yext gave us a massive wake up call on mobile. This will be the most important factor in Google’s index next year. It’s also where your audience is spending most of its time. Stunning stat: Over 50% of our mobile time is spent on apps, not the web browser. Action: Review your most important content from a mobile perspective. How does it look on mobile devices? Can readers read it/scan it well? Jes Scholz of Ringier Emerging Markets showed us how audience engagement is on a journey. From photos, to video, to 360 video and now Augmented Reality and Virtual Reality. AR and VR is going to open up huge opportunities for marketers to engage in ever more powerful ways, with the launch of iPhone 8 / iPhone X and Samsung’s latest models fuelling progress. Action: Experiment with AR and VR features in your content. Soak up what’s happening and consider what your brand can do with these new tools. Gary Illyes of Google told us that every update Google makes to its algorithms is about the quality of a site and its content. And there are 2 or 3 updates to Google a day. This is a reminder that we should stay focused on the audience, and not Google. If it’s changing this quickly, we’re better off focusing on the end game – the value our content has for our audience. We knew this, didn’t we? But still, it’s always worth reminding ourselves – the audience comes first. Action: Make ‘content value for the audience’ a key factor in how you assess your content’s quality. SEO is a fast changing sector, but the fundamentals remain. I missed many of the other great presentations, but you can find most of them on the SiteVisibility website. 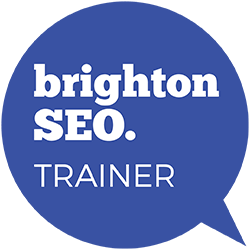 I’ll be running another content marketing course at BrightonSEO in April 2018, so let me know if you’re going. I run regular 2-day copywriting courses, and we cover a lot of ground in that time. But people often ask me: ‘How can I remember and implement all of this advice?’ So below I’ve listed three copywriting apps that have helped me, and many other writers, to avoid common mistakes and create consistently good copy. The links below are to web apps, which are available online through your standard web browser. They’re all free, so check them out for yourself and see if they work for you (some ask for personal data before you can use them). Please note – I don’t get any commercial benefit form you using these copywriting apps. These are objective and unbiassed recommendations. Good writing style is a habit that’s formed with practice. The Hemingway app speeds up this process by showing where you might be going wrong. Paste your copy into the app and it will highlight passages that have potential issues. It’s an awesome time-saver and a handy reminder of what to look out for in your copy. Headlines are essential. A good headline will turn a browser into a reader. As with all copywriting apps, I wouldn’t slavishly follow every piece of advice it gives. Use it to get ideas for improving what you’ve written. It’s tough to constantly think up new ideas for content. I love Answer the Public because it gives you plenty of inspiration. The app draws on data from Google search suggestions and other keyword tools to give insights into what people are searching for. You can use this to create content based on search demand. Enter your content topic into Answer the Public and you’ll get dozens of ideas for things to write about. And best of all, you know it will be interesting to an audience because they have searched for it. These three tools are just the start. There are many more copywriting apps and web tools out there. I’ll update this blog with more recommendations soon, but in the meantime if you have any suggestions, please leave them in the comments.